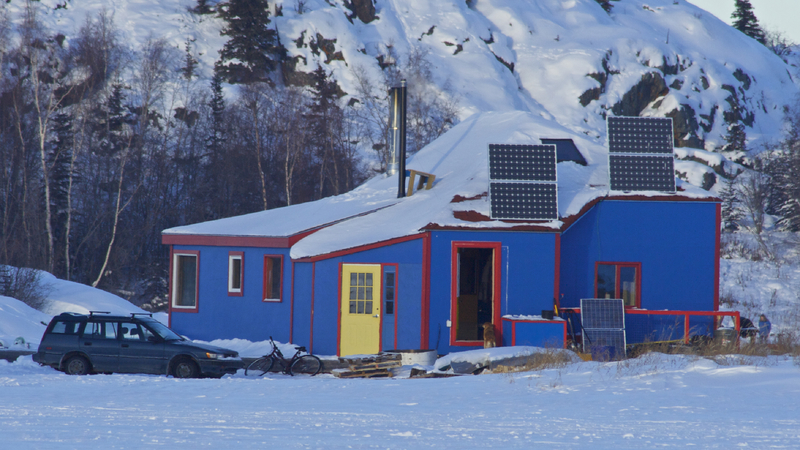 You have to be tough to live in a house boat, but you have to be doubly tough to live on a houseboat in the Winter on Great Slave Lake, just off the ice road. They lack some modern conveniences, but this person has managed a snazzy paint job and solar panels. This entry was posted in Steve Sharam and tagged ice, northern, photography, road, Yellowknife. Bookmark the permalink.